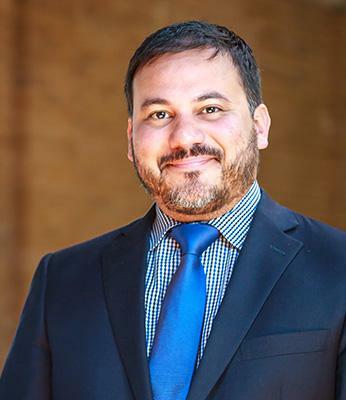 Mr. Gabriel is an associate attorney in McNelis+Associates, PLLC’s construction litigation practice who brings years of experience representing clients in complex commercial litigation. As a construction law litigator, Mr. Gabriel vigorously and effectively represents the firm’s clients, including owners, general contractors, subcontractors, and others, throughout all stages of litigation. Mr. Gabriel’s extensive experience in litigation enables him to quickly identify the important issues and strategize a litigation plan, so that he can effectively protect the interests of his clients and minimize any disruption to their businesses. Prior to joining McNelis+Associates, PLLC, Mr. Gabriel served as in-house counsel to a conglomerate of companies which he represented on issues involving complex multi-state litigation, federal and state sales and marketing compliance, intellectual property, contract disputes, and corporate structuring. Most recently, Mr. Gabriel was the senior litigation associate with Davis & Santos, P.C., during which he successfully represented individuals and companies in a multitude of business disputes, contract matters, and litigation involving financial institutions. Mr. Gabriel is a 2000 graduate of Stanford University. While studying to become a lawyer at Tulane Law School, Mr. Gabriel was awarded a fellowship at the International Criminal Court in The Hague, Netherlands, and later received a Certificate in International and Comparative Law. He also actively participated in and administrated over Tulane’s Moot Court and Mock Trial programs. Mr. Gabriel is licensed to practice before all courts in the State of Texas, in addition to the United States District Courts for the Western and Southern Districts of Texas.